This card measures 5x7, with a black mat. The yellow, blue, and pink patterned papers are all from a DCWV Mat Stack containing Bright Coordinating Prints and Cardstock, which is almost 3 years old now! 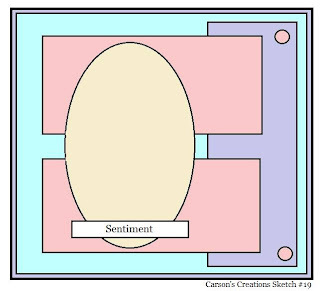 It was one of my first paper purchases when I started making cards. The label is a die-cut from my Art Philosophy cartridge, and that adorable sentiment is from the stamp set, Candy Speaks, created by Barb of Bug Bites! I masked off a few words so I could continue my greeting on the inside--I typed this part on my computer. When I realized that I didn't have a cartridge with popcorn on it, I resorted to Clip Art and found this colorful image. Hope you like it! So now it's your turn. Are you ready for the challenge? 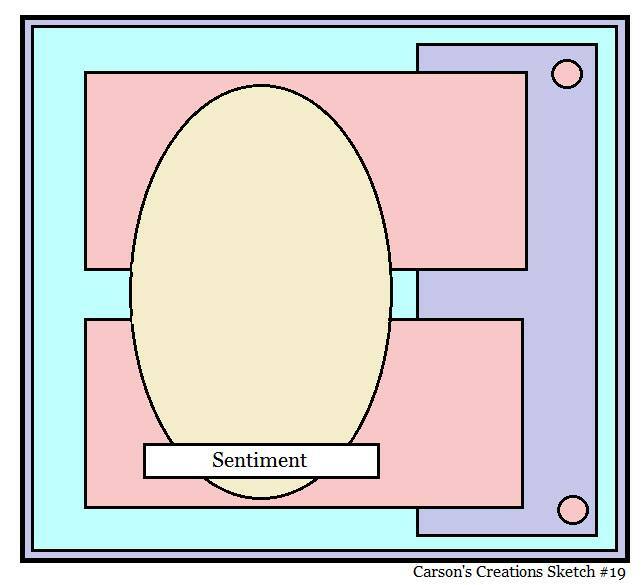 You'll have one week to create your card, layout or altered project following the sketch below. 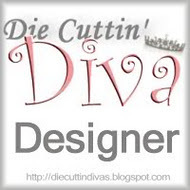 Please remember to use a die-cut and link your post back to the Die Cuttin' Divas blog site. Thanks for stopping by, and I hope you'll come back again real soon. How cute! I just love food images on cards :) Those little arrow embellishments are a ton of fun too.